We visited this park on January 19, 2018, and stayed for 14 day(s). 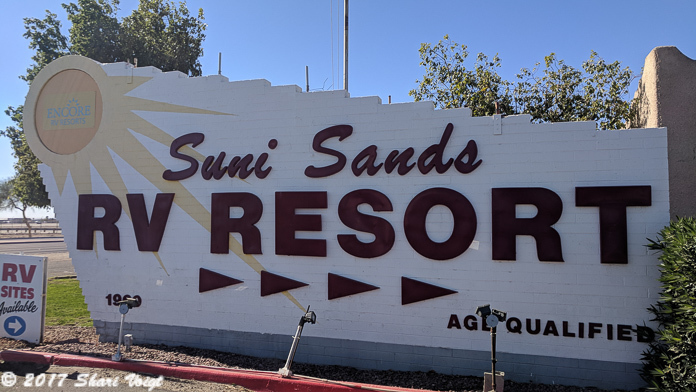 Suni Sands RV Resort in Yuma, Arizona seems to have it all. This 55+ age-qualified Encore park is available to us for two weeks at a time for free as one of our Thousand Trails Collection membership parks. The regular rack rate for the winter season is $252/week. There is one row of pull-through sites, all of them level, long, narrow, and full hookup, as well as other back-in sites throughout the park. The parking surface is gravel, and pull-through sites have no patio, picnic table, or fire ring. Two laundry rooms have machines that use a re-loadable card instead of quarters. One laundry area has a clothesline. Both are within easy walking distance from any of the pull-through sites. We don’t usually go swimming, but thanks to friends in the park who do, we couldn’t resist it this time. The pool is larger than some and kept at a comfortable 88°. Right next to it, a huge hot tub is kept at a toasty 103°. One unusual feature is the ease of shopping at Walmart. Take a path between Suni Sands and Walmart, do your shopping, then bring your purchases back to the park in your shopping cart. Unload your cart and leave it in front of your rig. Once each day, carts are collected by a park employee and returned to Walmart. How easy is that? Our Verizon phones and AT&T hotspot had strong reception, although there were times that the signal dropped off for a short while. The park’s Wi-fi is not free and according to others here who have tried it, not worth paying for. Over-the-air TV reception is good, with about 12 channels to choose from. When I saw this video recently put together by fellow RVers, Dori & Mena, I knew it needed to be included here. Suni Sands RV Resort is not a quiet park. 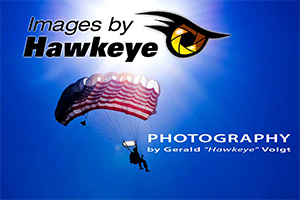 My husband, an aviation photographer, will never get enough of ‘the sounds of freedom’ – AKA: the roar of aircraft leaving the runway at Marine Corps Air Station Yuma, right across the street. On the other hand, our neighbors left early because of it. Every afternoon at 4:00 p.m. a different sound of freedom arises from within this park. It’s the sound of happy hour, when neighbors gather in groups of all sizes. There’s conversation and laughter, drinks brought from home, and snacks shared among friends, new and old. Being happy HOUR, it’s pretty much done by 5:00 p.m., and most fold up their chairs and head for home. Yuma is known as the sunniest city on earth, averaging 350 sunny days per year. Days are warm here (70° – 80°) throughout the winter season and nights are comfortably cool. Thanks to winter temperatures like these and irrigation from the nearby Colorado River, Yuma is also the winter vegetable capital of the world. 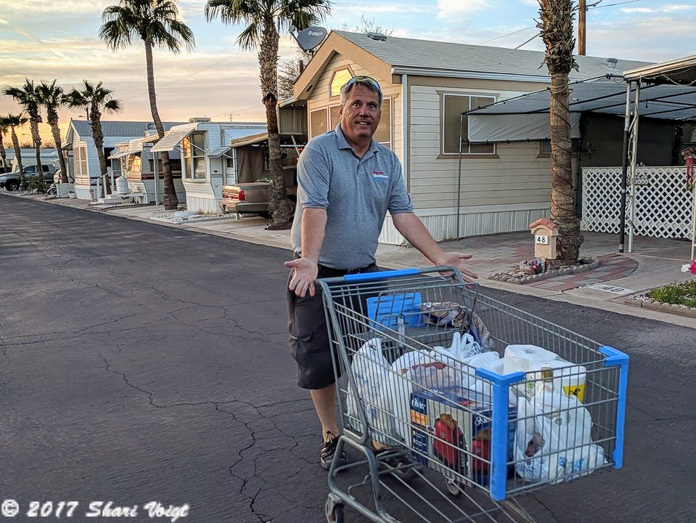 Many RVers come to Yuma, Arizona for it’s proximity to Los Algodones, Mexico, also known as ‘Molar City’ where 350+ dentists offer very inexpensive dental care. For example, our dental exam with X-rays and cleanings were $25 each. More on this in a future blog post. For more info on Suni Sands RV Resort, please visit their website. 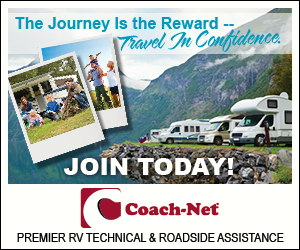 More RV Park Reviews by USA RV Nomads.